My name is Tania Maldonado and it will be a pleasure to help you build the best itinerary for your trip to wonderful Nicaragua! I was born in Sabadell, Barcelona in 1993, but I've been living in Nicaragua since I was 3 months. I graduated in Management and Development of Tourism at the Central American University (UCA), and I speak some languages: apart from Spanish, I speak English, Portuguese and French, and also a little Catalan. I love everything about nature and animals, so I am an animal rights activist and a vegetarian. My favorite activities are dancing, listening to music, playing the guitar, read, do volcano hiking and volunteer work. For me, the most beautiful destinations of Nicaragua are "Massif of Peñas Blancas" which is part of the biosphere reserve Bosawás in Jinotega, and then the wonderful beaches of Little Corn Island, at the Caribbean Coast. 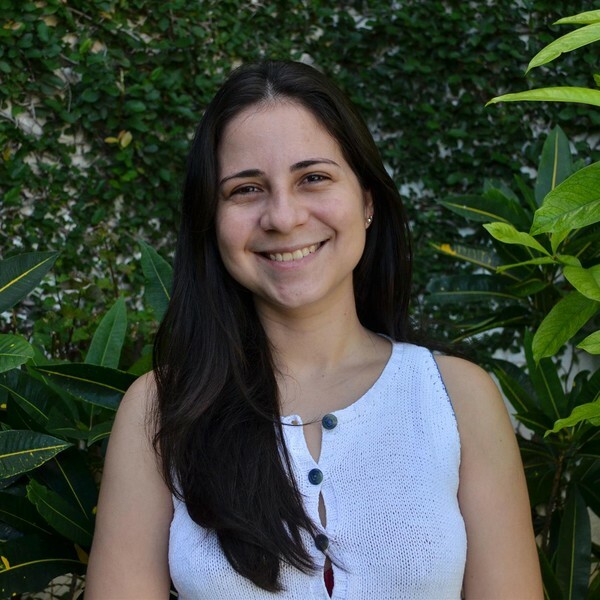 "My specialization is in nature, culture, and adventure tours throughout the country, such as the Caribbean coast, Leon, Granada and Ometepe." "My experience in the travel industry began when I started working in Vapues Tours four years ago. I am a travel planner which gives me the opportunity to show you about my beautiful country and its amazing destinations that I am sure will fit your interests. I will do my best to present you an itinerary including all the highlights you have requested or the most similar activities we have in our beautiful Nicaragua. There is no way to get bored in here! " "One of my most memorable experiences in Nicaragua has been visiting Little Corn Island, located in the Caribbean, here you can find beaches with clear water and amazing sunsets. The highlight for me was the visit to the reefs while doing some snorkeling." On this relaxing 10-day tour of Nicaragua's best beaches, you'll explore the surf and sand from coast to coast, with a dose of local culture along the way. Unwind on stunning white-sand beaches, kayak around Caribbean cays, and tour the massive Lago de Nicaragua and its hundreds of islets. You'll also gain insight into culinary traditions in the colonial city of Granada, spot marine wildlife like sea turtles, and visit a tropical cloud forest reserve. Retrace the old pirate routes on this kayaking adventure in Nicaragua. Your journey will start in the 500-year-old Spanish colonial city of Granada. You will then fly to San Carlos and paddle the San Juan River from Sabalos to San Juan de Nicaragua. See exotic fauna such as the rainbow-billed toucan, visit the fort at El Castillo built to fend off pirates, and camp on the banks of the San Jan River. Finish your trip with a free day in Nicaragua's exciting capital, Managua. Although only a small country, Nicaragua packs in a lot of variety. On this eleven day tour, learn about the country's sustainability efforts while enjoying cultural experiences and fun outdoor excursions. Hike a volcano in the middle of a lake, visit an organic farm, and try your hand at pottery, weaving, and traditional cooking in a series of local-led workshops.